Okay, so here is what I didn't know. That spammers will now invade your comment section on your blog. Yep, didn't know that. So I was slightly horrified when I looked through some old posts of mine recently and found what are essentially ads for several well known prescription drugs. The nerve! And I also might add - do they really think they are going to sell anything that way? So I did a little surfing and found this helpful article and also learned more about the comment settings on blogger. I didn't even know about the spam filtering features but when I looked at what Blogger had blocked right here on So September I was amazed at how many attempts were made to turn my happy little blog into a pretty little pharmacy. Needless to say, I am glad that blogger has added this feature. On a final (but most important) note I just wanted to apologize to anyone who had to wade through this garbage in some of my previous comment sections. I swear I didn't know it was there and I hope we all never see it again! It really is insidious, isn't it? 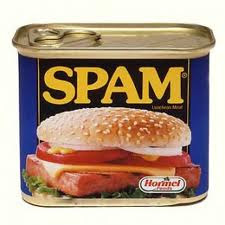 For those who might be running Wordpress, Akismet (http://akismet.com/) is a spam blocker that rocks. On my non-craft blog, Akismet has blocked more than 16,000 spam comments in the past 60 days alone. Crazy! I use Wordpress & have it set up so I receive an email notification every time someone posts a comment. I also have it set up to require me to approve any message with a link in it, and spam has been caught that way. I think I also have my comments set up to not accept comments on posts that are older than a certain period of time. And, of course, there's the handy-dandy spam blocker! In spite of all that, I will still have a spam sneak through once in a while, but since I receive the email notification for every comment I'm able to delete those PDQ =).